Is your horse an athlete? Is competition and training part of your life? 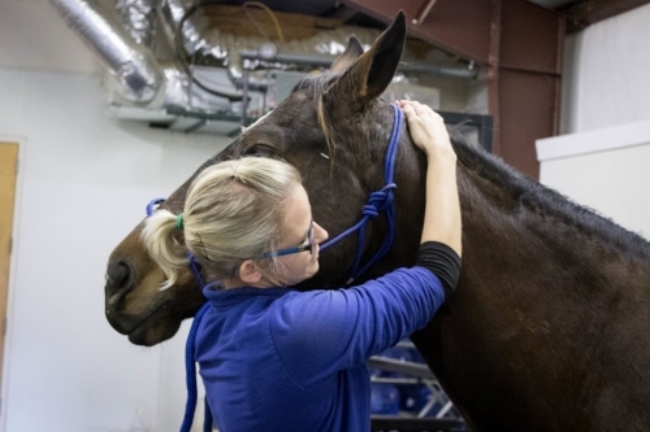 Whether you’re the owner of a world class athlete or a weekend warrior, chiropractic care for your horse will facilitate a healthier, stronger and more resilient animal. The goal of veterinary chiropractic is to restore function and mobility to the bones of the spine, known as 'vertebrae' in an effort to re-establish nerve communication, allowing the body to perform at its optimum potential. We use our hands to identify areas of restriction, and apply a precise thrust on the immobile vertebrae in an effort to restore motion and remove nerve interference. When nerves efficiently communicate with all the structures in your horses’ bodies, healing and recovery results.